Cryptocurrency Trading is easier than you think, and OctaFX provides a range of tools to make profiting from cryptocurrency a reality. If you have any interest in trading and investment at all, it would be hard to miss that cryptocurrency trading is the hottest ticket in the market at the moment. Cryptocurrencies such as Bitcoin, Ethereum, Litecoin and many others have excited investors with the possibility of substantial profits and a completely new way of thinking about what a currency is and how it works. 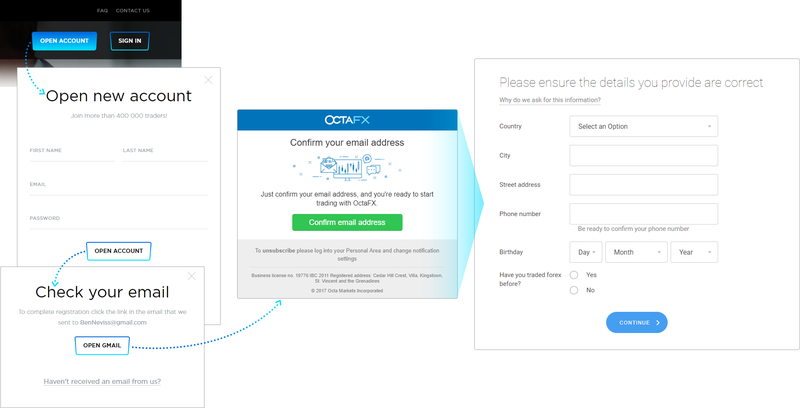 Sign up for an OctaFX account and confirm your email address. Our account creation process for cryptocurrency trading is highly important to verify authorised access to the account, and to process withdrawals from real cryptocurrency trading. 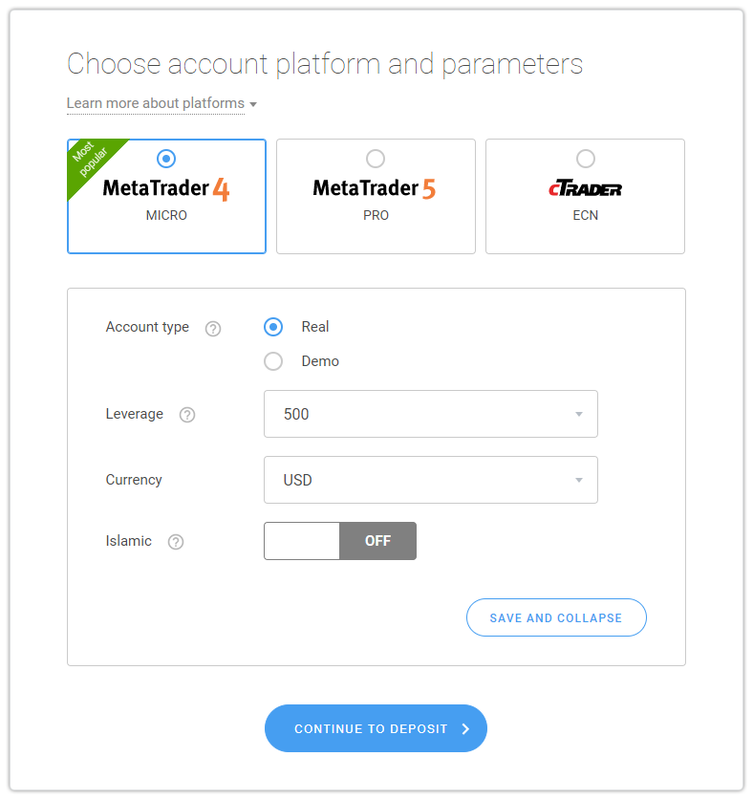 Choose whether you want to use the MetaTrader 4 or MetaTrader 5 platform to trade - MetaTrader 4 is the long-established and arguably best standard for pure Forex trading, while MetaTrader 5 allows you more scope to trade in other markets such as commodities and stocks as well as Forex. Research both and see which suits your aims best. Once your email and identity are verified (to guard against unauthorised access) you can add funds to your trading account. Don’t forget that adding funds allows you to get a 50% deposit bonus to trade more on higher volumes. Download the appropriate desktop or mobile MetaTrader app, and sign in with your trading account number, which you will have received after account registration in steps 1 and 2. Oddly enough, the first cryptocurrency, Bitcoin, didn’t start off to create a whole new way of thinking about currency, but as a technology to prevent the same amount of regular electronic cash being sent twice to two different people. The process of validating transactions to prevent this, via a system known as a blockchain, became known as mining, as those doing the validating received Bitcoins as a reward for validating traditional electronic transactions. These coins soon took on a value of their own, and have now become a trading juggernaut. Trading in a cryptocurrency doesn’t require any specialist knowledge, and in fact it’s not all that different to trading in Forex, commodities or many other markets. Despite its unusual nature, crypto still rises and falls like any other market, and is still subject to predictable external factors in a way that gives you the opportunity to make substantial profits. It’s especially easy to get into crypto with OctaFX, because you can trade Bitcoin, Ethereum and Litecoin in MetaTrader 4 and 5, alongside Forex and commodities. You needn’t rely on guesswork to predict which cryptocurrencies are worth investing in and which aren’t, as our free Trading Signals plugin offers detailed technical analysis and some of the best crypto price predictions in the market. A sensible approach to any sort of investment is to minimise initial outlay to maximise the potential for profit, especially one so volatile as investing in cryptocurrency. OctaFX will set you up well in this regard, by offering some of the lowest spreads in the business, and the opportunity to trade micro-lots as small as 0.01 lot, so you don’t need a huge initial outlay to profit from Bitcoin, Litecoin or Ethereum. OctaFX will also provide you with added muscle for your crypto trades with free leverage to maximise your profit potential, and there’s no commission to be paid for trading volume, and no deposit or withdrawal fees. When investing in something quite so volatile as cryptocurrency, maximising your profits relies on buying and selling with pinpoint accuracy, at the second the market offers the most potential. OctaFX will allow you to do this thanks to some of the fastest execution on the market. Buy and sell for the price you see, with no delays, and make deposits and withdrawals instantly. Both fiat currencies and Bitcoin are accepted, without commission or delay, and the process is smooth and completely straightforward. OctaFX also maintains an excellent record for minimising slippage, with 97.5% of all orders completed without any slippage at all. So now you’re fully briefed on trading cryptocurrencies, maybe you’d like to know a bit more about the currencies themselves. Three of the biggest, most volatile and most exciting are Bitcoin, Ethereum and Litecoin. Bitcoin is the first digital currency, created back in 2009. The main difference from traditional currencies (EUR, USD, JPY, etc) is that transactions are decentralised, highly secure, and what’s more, completely private. Bitcoin is one of the most volatile, discussed and popular instruments among cryptocurrencies. Bitcoin trading mainly happens on news, for example a bullish trend before Bitcoin forks (this is the separation of Bitcoin when cryptocurrency owners get part of a new crypto). A bearish trend is usually seen after news regarding the ban of Bitcoin in some countries (China, for example). 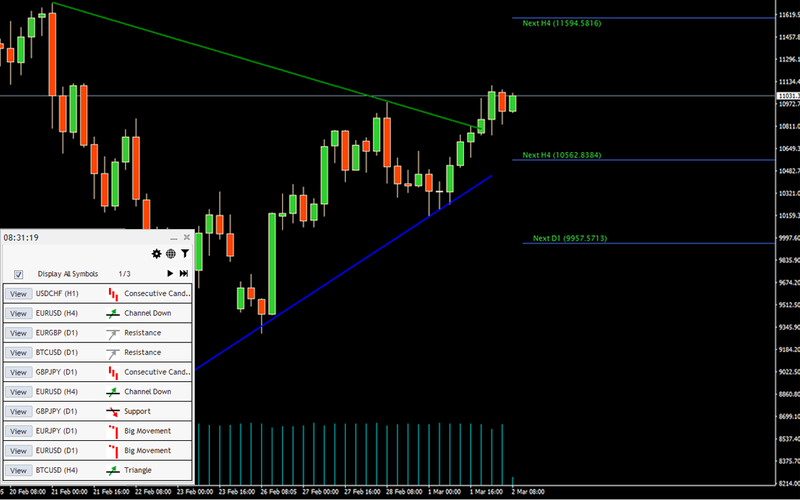 Bitcoin can be easily predicted using technical analysis figures, making your trading more profitable. Bitcoin is the most profitable instrument for trading in USD. Right now, the leverage for Bitcoin and other cryptocurrencies at OctaFX is set to 1:2, which is more than enough considering the high volatility of that instrument. 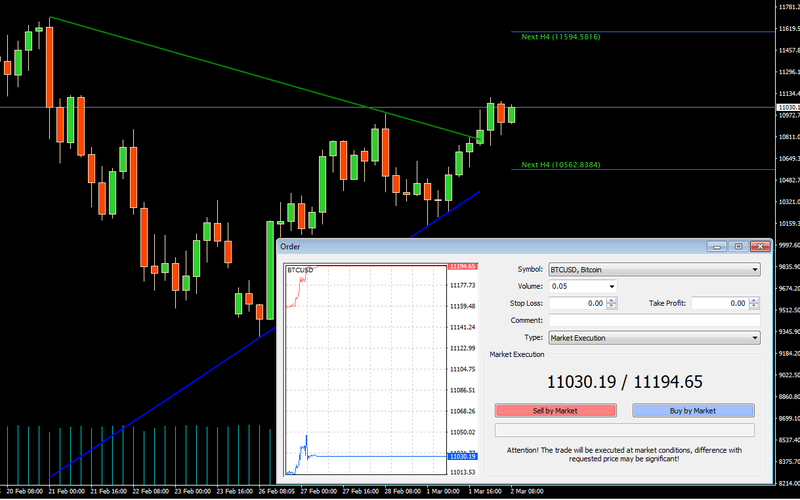 Apart from that, you also can trade Bitcoin in microlots (0.01) which allows to plan your trading budget effectively. OctaFX sets the amount of 1 lot to 1 Bitcoin, which is comparatively low and requires less investment. Ethereum is the second most interesting instrument to trade in USD. Nowadays there are more and more ways to buy Ethereum for fiat without changing it into Bitcoins. That means that the price of Ethereum is now less dependent from the Bitcoin price compared to other cryptocurrencies. It can be considered an independent instrument. Ethereum is a system to support smart contract technologies to invest in the ICOs of new start-up companies. The more start-ups are interested in Ethereum - the more expensive it becomes. To analyse the price of the Ethereum it’s wise to research how many ICO contracts are about to be issued in exchange for Ethereum. Compare results with existing data - the more contracts, the higher the price. It’s also good to pay attention to news about other cryptocurrencies supporting ICOs and competing with Ethereum. The most important competitors are Waves and Bitshares. Technical analysis figures work well with Ethereum too. Combining that information with the Ethereum’s volatility of the last few months, Ethereum can sometimes lead to more profit than with Bitcoin. Litecoin was first issued in 2011 and is quite similar to Bitcoin. If Bitcoin can be defined as the ‘gold’ of today’s cryptocurrencies, this makes Litecoin the ‘silver’. Litecoin provides secure and fast transactions inside the blockchain, with the ability to purchase goods on the internet. The main difference from Bitcoin (and the central benefit of Litecoin) is the capability of processing much higher volumes in one transaction. While Bitcoin can only have up to 21 million coins, Litecoin offers four times as many - 84 million. The Litecoin price now greatly depends on Bitcoin. That makes it possible to use the Pairs trading strategy with Bitcoin as a main currency to successfully forecast Litecoin changes. One lot at OctaFX equals 100 Litecoin. There’s currently a lot of talk around cryptocurrencies - some predict a fast rise and a dramatic fall, while others are confident that they are the currency of the future. Sounds interesting? You can keep reading the hottest news and best articles on cryptocurrency, but you’ll get much closer to understanding how it works by cryptocurrency trading. So what are you waiting for? Start getting profit from crypto right now!